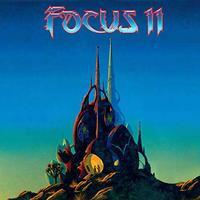 It's always good to hear a new album from Focus. This set is no exception. It is mostly instrumental with only one song having real vocals and another with non-lyrical ones. The majority of the music here is fusion, and it's tasty fusion at that. I'm most often reminded of Al Di Meola, but there are lots of other things on display, too. I dig the guitar part that starts this track. This opening jam is fast paced and more straightforward, but the number shifts toward fusion as it continues. The organ lends some retro texture. The guitar paints some killer musical tapestries, and this whole thing works really well. Pay attention to the drums. They are on fire through much of the piece. Keyboards open this, and the introduction feels a lot like Emerson, Lake and Palmer to me. The cut shifts to more of a fusion jam in short order and has some killer groove. It gets into some Celtic music after a time, turning quite traditional in terms of the arrangement. It works its way back to fusion from there, and some of the bass work gets downright funky. 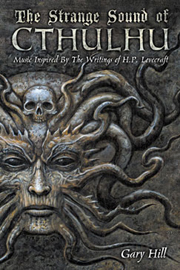 There are some non-lyrical vocals later in the piece and the Celtic sounds are reincorporated. Before an almost metallic closing measure this even feels a bit Zappa-like at times to me. Starting with a bit mellower, melodic fusion sound, this works outward in style. As this gets more powered up, it also has some particularly intense melodic moments. This is powerful fusion that makes me think of things like Al Di Meola to a large degree. This cool rocker has more of a 1960s sound. The flute adds a lot to the mix. This is the only track with vocals. The cut has some retro sounding organ and is more of a mainstream prog song in a lot of ways. This number grooves with some jazzier treatments later while a spoken voice delivers something that's almost beat poetry. Hard edged fusion jamming is on the menu here. This is powerful, energized and very cool. I love the cool shifts and changes on this thing. The guitar has some great sounds. The piano puts in a noteworthy performance, too. This melodic fusion piece has a bit mellower texture. That said, there is some smoking hot slow guitar soloing that brings a bit of dramatic bluesy sound to it. This is perhaps a bit less dynamic than some of the rest, but it is no less powerful. It lends a slightly mellower side to the fusion sound. A harder rocking jam, this has some killer guitar sounds. The keyboards are retro-tasty. This is another piece that makes me think of Di Meola to a large degree. This has some definite changes and some rather distinct movements. It also has some short drum solo parts, but the drums really jam throughout the piece. The melodic resolution section that takes the cut to its closing is so classy. Starting in sedate and quite classical ways, this cut grows outward from there with style. It starts to turn to some seriously cool jazz before dropping back down and then gradually coming back upward. This takes us through a lot of different scenery on an intriguing and entertaining journey. This is a powerhouse jam that's packed full of scorching fusion. In fact, it might be the most incendiary and potent composition here. The guitar soloing is magical, but the whole thing just gels really well. It's a real screamer. Another melodic fusion jam, this is strong. It's perhaps not a highlight of the set, but that's more about the strength of a lot of the other material. This has plenty of killer work built into it. This is even more on the melodic side. While a lot of this album reminds me of Al Di Meola, this feels a bit like Pat Metheny to me. It lends a bit of a grounding vibe perfect for a closing piece.